Bollywood hero Shahid Kapoor has bought a new home in Mumbai. It is a duplex flat. 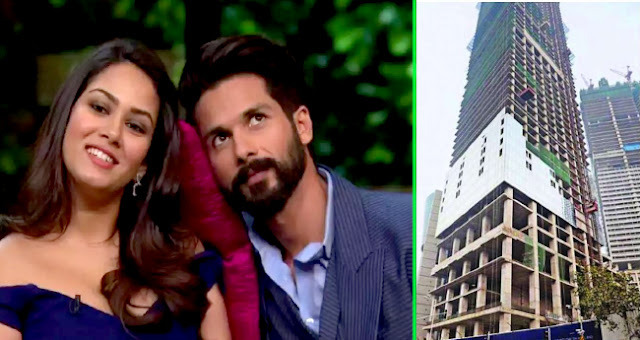 The new home of Shahid Kapoor costs about Rs 55.60 crores as per the Bollywood sources. The handsome hero has already paid Rs 2.19 crores for registration reveals the sources. Shahid Kapoor’s new duplex flat is 8625 sq ft. This new house is located on the 42nd and 43rd floors in Tower B of Three Sixty West. In this deal Shahid will get 6 car parking places in this building. The new flat is registered in the name of Shahid and Mira. The couple are currently living in Praneta building located in Juhu Tara Road. Shahid has got Akshay Kumar as neighbor who bought a flat for Rs 27.94 crores in August 2015. Another Bollywood actor Abhishek Bachchan has purchased a flat in the same building for Rs 41.14 crores in November 2014. Do You Know About Rice ATM ? It is common to withdraw money from ATM but not so common are these rice ATM’s. We have seen water ATM’s that dispense water when we drop coins into the machine. Now you would be wondering to know about these rice dispensing machines. Let us find out more about these latest machines. BAZNAS and Indonesian company in Greater Jakarta has developed a rice giving ATM machine to serve the poor people. Any one who has a member card can take rice from rice ATM machine. The machine is connected via GSM and the RFID card works with sensor. When the user places the card near the sensor on the machine, the rice is dispensed into the tray at the bottom of the machine. Each Rice ATM has capacity of 1000 kgs and 1 kg rice is dispensed in one withdrawal. Maximum 8 kgs of rice can be taken by single card in a month. This machine is currently operates at 10 locations in Greater Jakarta. This is how the Rice ATM works. Bollywood badshah Shahrukh Khan and his wife Gauri Khan are undoubtedly the most applauded celebrity couple in India. Shahrukh married Gauri when he is working as an Television actor. He didn't enter into films at that time and only has acted in few Television shows. Shah Rukh’s recent instagram reply to a fan on asking why he got married early is absolutely a strong committed answer and will make his fans amuse. So what did SRK answer ? “Bhai love aur luck kabhi bhi aajate hain. So both came early with Gauri,”. SRK and Gauri dated for 6 years and got married in 1991. Now they have three children Aryan, Abram and Suhana. Sharukh’s upcoming film Zero is expected to be released in December 2018. 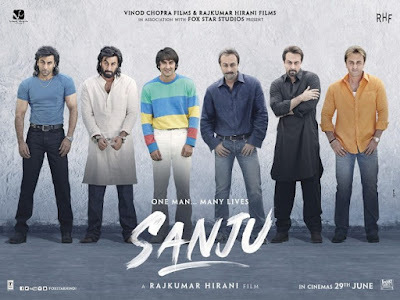 The movie stars Katrina Kaif and Anushka Sharma as female leads and is directed by Anand L Rai. Cleaning is a tiring job for many of us. Yes whether you accept that or not. But when you watch this amazing viral video all your thoughts about cleaning will change. It's for sure. 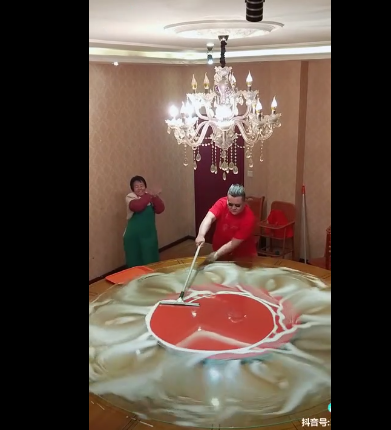 The super cool video showing a Chinese or might be Filppino guy cleaning a rotating table has went viral on the internet and flooded with many positive comments. The 15 second video shared on the internet shows us a guy in a red T Shirt wearing sunglasses and a lady in green apron.The guy keeps cleaning the rotating table in his own unique way while the lady in green apron dances and claps to some music. One would wonder what is there in the cleaning but the red dress guy with a floor cleaning mop removes all the soap water on the revolving table in a so unique way, that like it looks like an art. The water is completely mopped into a tray without spilling on to the sides. One more thing we can notice is that the guy does all the cleaning with only one hand while hand keeps spinning the table. While the guy does the job, the apron lady so happily keeps clapping and dancing. The people on the internet are happy with both of them. We bring you the most interesting and fun facts from around the world. Read them to gain knowledge or spend time learning something useful. 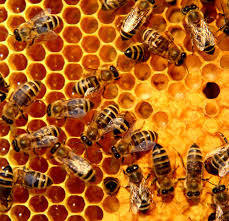 * About 100 kg of honey can be made from one honey comb in one year. * 92 percent of money that we are using in the world is in digital numbers in the computers. Only 8 percent currency is used in the notes and coins form. * Ancient Egyptians are the people who have made the pen about 6000 years ago. * About 1 ton material is used to store 5 MB data in a computer in 1950's. * Untill 18th century British Royal families used to speak in French. English is the language for common people. * Gifting a watch in China means "it's end of our relation". * There is no chance of hearing any kind of sound or noise in space as sound waves do not travel in space. Astronauts use walkie talkies even when they are close. * In British rule in India only deaf people are used to swing hand held fans. As they couldn't hear the conversations will be safe. * Ducks can sleep while opening one eye. * The living being that is living at highest point of all is "Jumping spiders". They live in Himalayas at 22000 ft height. * According to an estimate about 5.3 liters of tooth paste is used in a year in the world. * The prominent scientist who contributed to science of evolution Charles Darwin is the known first inventor of revolving chair. * ISRO is in its early stages has launched rockets from a church premises in Kerala. 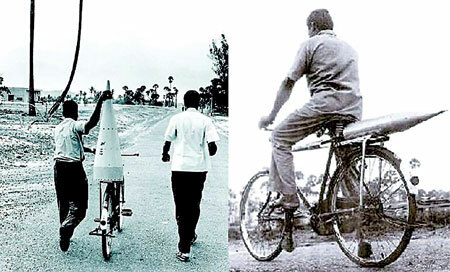 As there are no petrol and diesel less vehicles for them at that time, rocket spares were transported on bicycles and bullock carts.